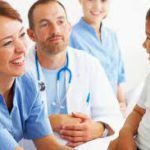 There are a great many options available for an RN nurse, more so than exist for an LPN, which is why there are so many LPN to RN programs for you to choose from. The important thing to consider is the actual process of moving from an LPN qualification to an RN qualification. There are a number of things that you should keep in mind when deciding to make this transition. It is very important that you know exactly the best way to go about it. It is also important that you know what exactly to expect once you have made the decision to move form to the other. This section aims to help prepare you for this change and give you advice on how to make it. Choosing your degree: The first thing that you need to know is that there are a number of different degrees that you can qualify for when you decide to engage in an LPN to RN program. The minimum qualification that an RN can have is an Associate’s degree, so this is your first option. This will qualify you to be an RN as much as other degrees, but if you get a more advanced qualification there may be more options open to you. If for example you decide to get a Bachelor of Science Degree in nursing, or a BSN, then you will be a qualified RN that will have even more opportunities. If you are particularly ambitious and if you want to go really far in the nursing profession then you may try to get a Master of Science Degree in nursing. Each of these degrees have slightly different coursework and teach you different skills. You will also find that they may vary in terms of how long each of them will take you to complete. 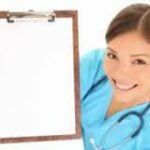 Knowing the coursework to expect: If you are hoping move from being an LPN to an RN then you will need to know exactly what kind of coursework you will be expected to get through. The type of coursework can have quite an impact on whether or not you personally will be able to complete the program and qualify at the end of it all. An average LPN to RN program will consist of algebra, microbiology, chemistry and anatomy, physiology, English, history, civics, or U.S. Government, psychology, computers and statistics. If you think that this coursework will be too heavy for you then you should probably choose something else. Scope of practice limitations: If you are doing an LPN to RN program then you will probably continue working as an LPN in the meantime. This is fine, and it can even be beneficial, but remember that you will not be able to perform any of the duties of an RN at work as they will be outside of our scope of practice until you are qualified. Even if you feel that you are well trained and that you know exactly what you are doing, you simply cannot perform the duties of an RN until you have successfully completed the LPN to RN qualification. Advancement rules: It is important to note that you do not have to progress through each degree to get to the next one. This means that you don’t have to limit yourself by only looking at LPN to Associates degree programs. 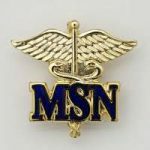 There are plenty of LPN to BSN and even LPN to MSN courses that are available out there. It can take a long time to reach your educational goals this way, but many courses allow you to start working as an RN or LPN halfway through so that you can begin earning while you learn. LPN to RN online options: If you are already qualified as an LPN then becoming an RN is much easier as you will be able to complete the qualification online. 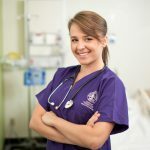 This is because you will not have to complete the clinical practice that you had to do when you were an LPN and you are generally considered to have had enough experience by that time to simply do all of your theory work online and then become qualified. Studying online has a lot of advantages but you need to make sure that you have the right personality and motivation for that kind of self study. Credits: There are a number of LPN to RN programs out there that will allow you to transfer credit you earned from previous training. This means that you will be able to avoid repeating work that you have already done in the past. If you have done previous LPN training in courses such as biology that may help you, find out if you can transfer those credits to the various LPN to RN programs that you are considering taking part in. Good programs will let you transfer (and save money). Location of program: You should find out where the various LPN to RN programs in your area are held. 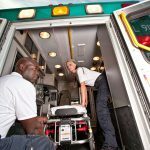 If, for example, there is a program being held at the hospital where you already work as an LPN, that would of course be the most convenient for you. Hospitals often also offer better tuition experiences as you have more ready access to hands-on experience that is harder to get at a university, school, or college. If the distance that you are able to travel to attend a program is an issue for you then you should also pay attention to location. 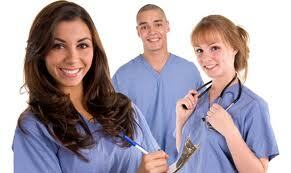 NCLEX-RN pass rates: To become an RN through an LPN to RN program you will have to pass the NCLEX-RN examination. This is essential and you will simply be unable to qualify if you are unable to pass. That is why one of the essential things you should research is the pass rate of the universities and schools under your consideration. Find out whether or not they have high or low pass rates for the NCLEX-RN examination. Schools with low pass rates may not be preparing their students sufficiently for the examination and should probably be avoided. Hours: If you are doing an LPN to RN bridge program then the chances are that you are already working as an LPN. This may mean that you should like to work and study at the same time (which is something that is usually easy to do with most LPN to RN programs, especially the online ones). If this is what you plant o do then you need to investigate the hours that you will be required to spend on each of the LPN to RN programs that you are interested n attending. There may be courses that you will be unable to attend with your work schedule. Coursework: You need to make sure that the coursework that you will complete in the LPN to RN course is adequate to prepare you for the examination when it comes time to write it. 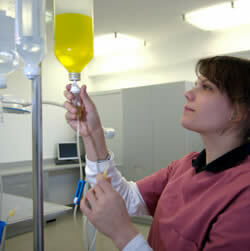 In your LPN training you were provided with a wider range of knowledge and nursing terms. A good LPN to RN program will build on the knowledge that you already have and help you work towards being a good RN, not only in the context of the exam, but also in the context of your career once you have qualified successfully. There are numerous avenues that you can explore if you are looking for financial assistance for your LPN to RN programs. Many institutions, schools, and even some private individuals are willing to help you pay your way. 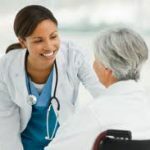 There are a number of things you will need to research and a lot of work will need to go in to your applications, but with a little effort you should be able to get started with your LPN to RN online or face-to-face program fairly soon. One of the options you need to consider is FAFSA. Through FAFSA you will be given access to a number of grants and loans that you may be eligible for as an LPN student. Grants: A grant is an amount of money that is given to you to help you pay for your studies that you will never have to repay. This means that if you are eligible for a grant, go for it. Grants are usually either merit based or needs based, and there are usually quite a lot of very stringent requirements. There are also different grants for different states. However, because nursing is such an undeserved profession at the moment there are many grants and scholarships aimed specifically at encouraging more people to become LPNs so there should be a lot of options out there for you. Loans: A loan is also an amount of money that is given to you to help you pay for your studies, but unlike a grant you will have to pay the loan back. They also accrue interest over time. There are federal loans, which are the best ones to get if you are forced to go that route as they have the best interest rates. Federal loans are difficult to qualify for, however. Private loans on the other hand are easier to qualify for but come with much higher interest rates. Needless to say you should consider grant options first. Scholarships are similar to grants except that they are almost always merit based whereas grants are more frequently needs based. A scholarship serves as a kind of reward for students who have achieved well in the pas providing them with the money they need to study further and become LPNs. And like grants there are many scholarships out there in an attempt to try and encourage students to start studying for their LPN to RN qualifications. A good place to start looking for scholarships is from the schools you are interested in as they often offer their own programs. If you have been forced to go the route of taking out a loan for your LPN to RN qualification then you may be interested in the loan forgiveness programs. These are programs that deal with part or all of your debt in exchange for which you are required to work for a set amount of time in a facility that is chosen by the state. This will usually be an under served facility, often found in the more rural areas. However this will help you gain valuable experience which will help your career in the future. It may come as surprise to you to hear that many employers are willing to fund the studies of their employees in exchange for which their employees will work for them for a set amount of time. This works in everyone’s favor. Your employer gets an RN who is obligated to work for the facility. You get your studies paid for and you are guaranteed of a job and of some valuable experience once you are out of university. The least you can do is ask your employer and the worst they can do is to say that they cannot help. As you can see there are a lot of things to consider and keep in mind when it comes to LPN to RN qualifications, but it is an achievable ideal open to all nurses.